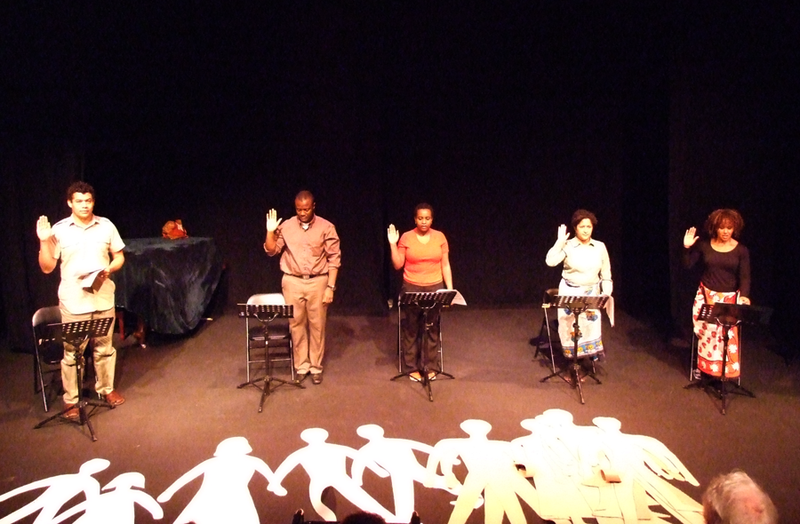 “Living Memories: Kenya’s untold stories”, a case story about PUENTE theatre’s Worlplay. 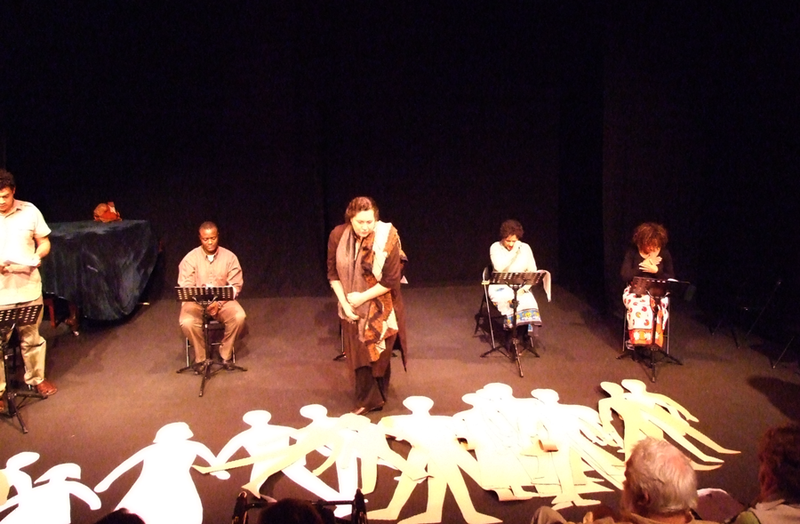 Program Note: Sunday, February 14, 2010 at 8 PM,” Living Memories: Kenya’s untold stories”, by Kenyan Al Kags, directed by Lina de Guevara. 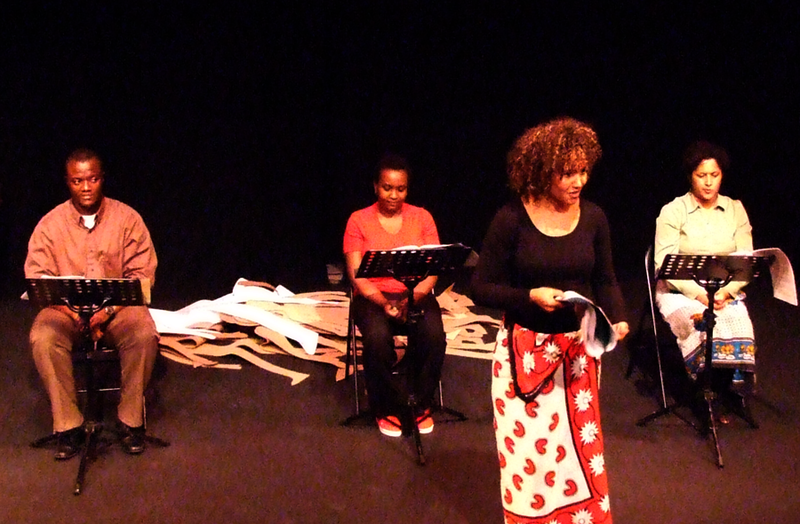 The tragic history of Kenya during its fight for independence from Britain, told by men & women who lived through it. 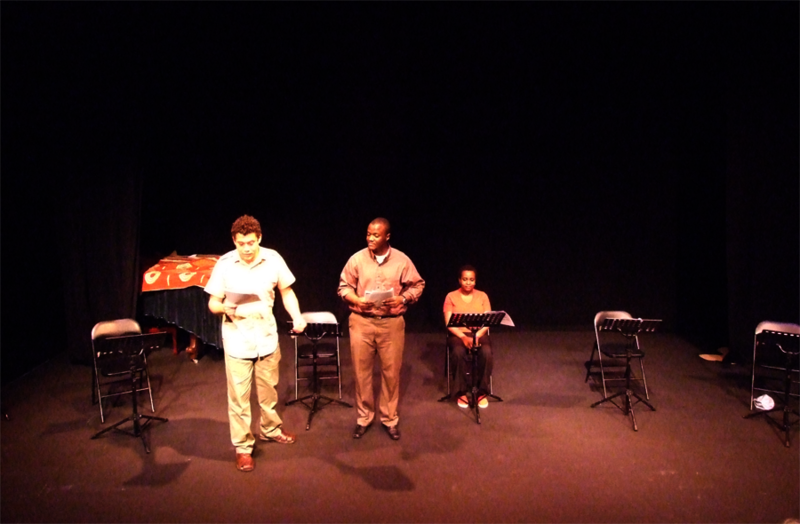 As soon as we read this script we were eager to feature it in the 2010 season of Worldplay. “Living Memories” had just been premiered at the Nairobi National Museum on November 11, 2009, so we felt privileged to be able to show it in Victoria, a couple of months afterwards. 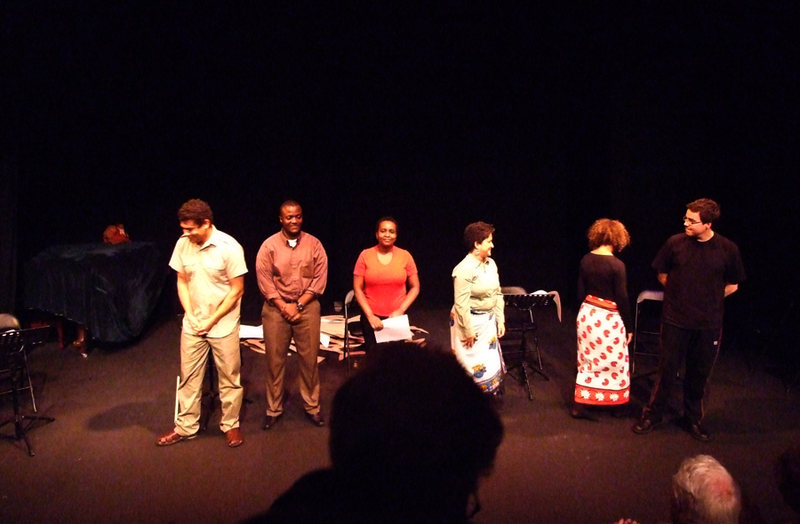 Writer Al Kags was thrilled to have his play presented in Canada, and sent us warm greetings and best wishes via e-mail. He had written the play based on interviews he did with people who had lived through difficult times in the nineteen forties and fifties, when Kenyans were fighting for independence from British rule. More than 150,000 Kenyans were arrested in mass raids, and detained without trial in 150 detention camps around the country. 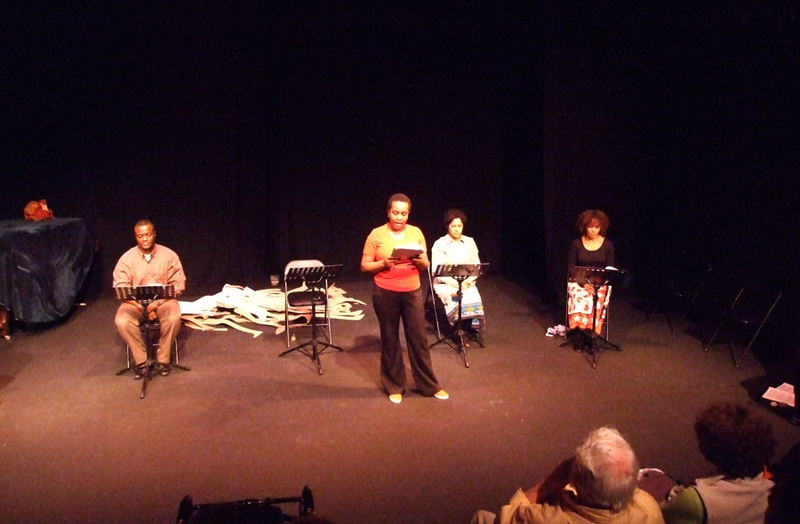 Through the personal stories of the survivors, the play becomes a powerful, vivid narrative of a tragic time. 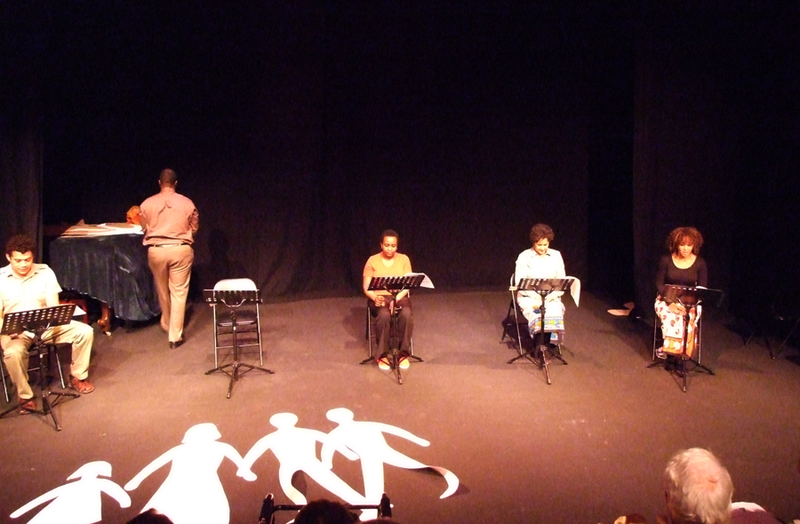 We were lucky to have a mostly African cast, with readers from Kenya, Ghana, Tanzania, and a Canadian educated in Nigeria. They knew perfectly well the historical and cultural background of the play. But it wasn’t only the theme of the play which was outstanding; it was also its aesthetic and theatrical values, which brought the stories so powerfully and uniquely to life. Storytelling, music, singing, rhythmical clapping and stomping were used during the reading to underline dramatic moments. 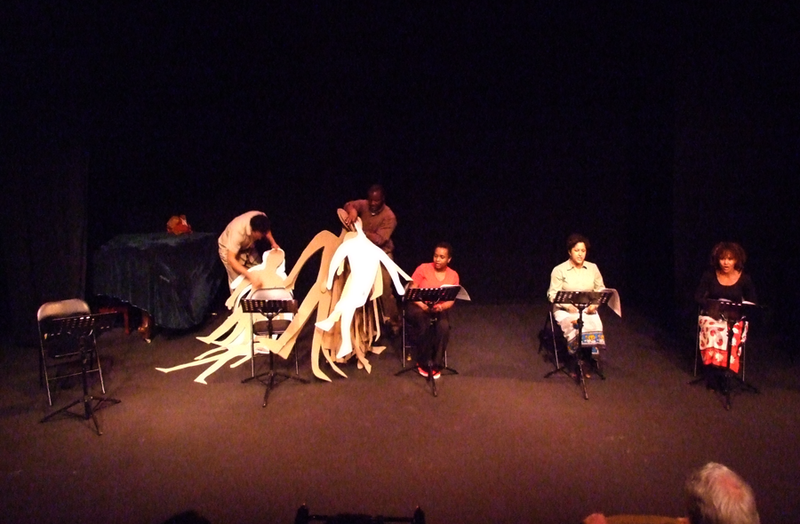 Most poignant of all, throughout the play paper cut out of bodies, black and white, were brought out and piled in bundles, illustrating the human cost of the war. 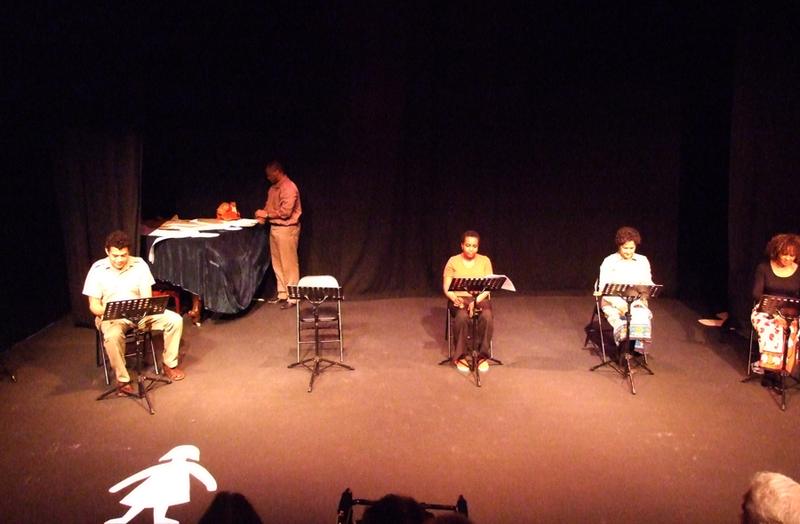 On the day of the reading the Belfry studio was packed, and there were many Africans present. The discussion after the presentation was exceptional. In the audience there were people who had lived through those times, and had their own living memories to share. There was a man who had served in the British Army in Kenya, and another man who had fought in the Mau-Mau side. What they had to say gave us deep insights about the nature of colonialism, and the fate of individuals caught in the struggle. 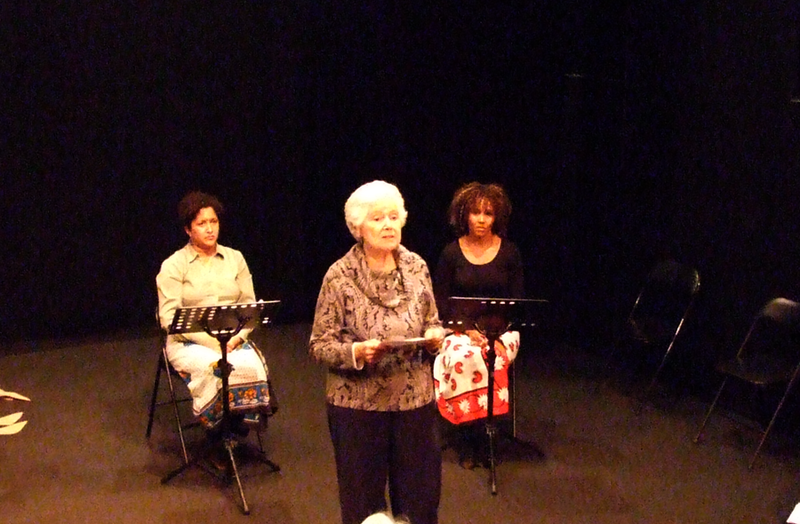 “Living memories: Kenya’s untold stories” is an example of the way Worldplay readings create connections between countries and individuals, provide a place and a moment where experiences from cultures all over the world can be shared, and allow us to learn about each other.